A friend (and reader of this blog) recently asked me about my greens. She very kindly said she thought they were delicious – which is a really lovely compliment – and asked if I could share something about my choice of pigments and mixing. Of course! I said. 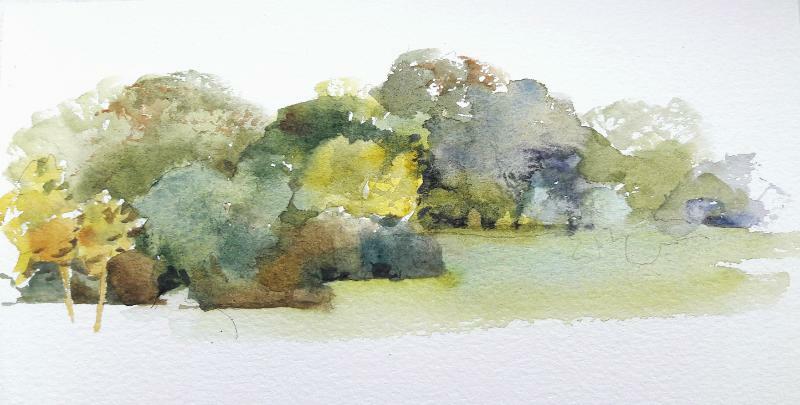 It’s true that artists, and particularly watercolour painters, get more wound up about green than any other colour. Depending on how things are going, I feel this way too – excited one minute and then despairing the next. 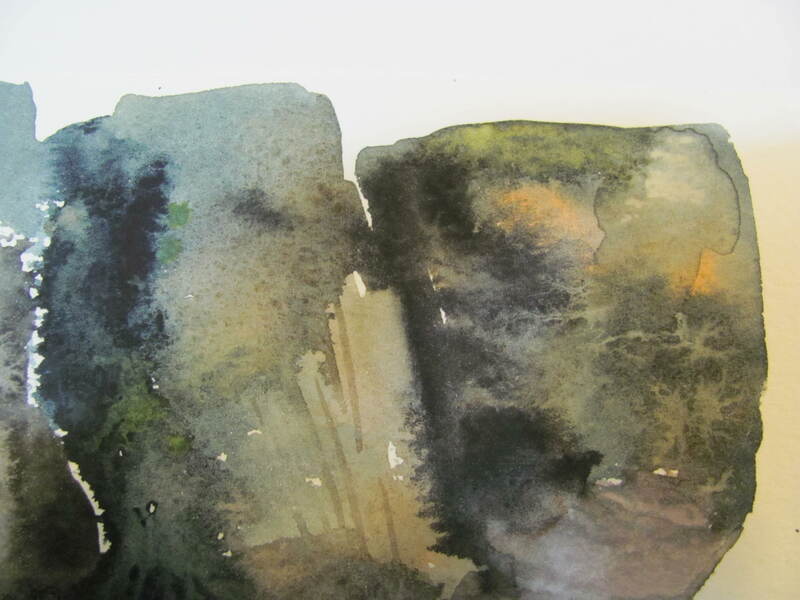 (But that’s watercolour for you.) 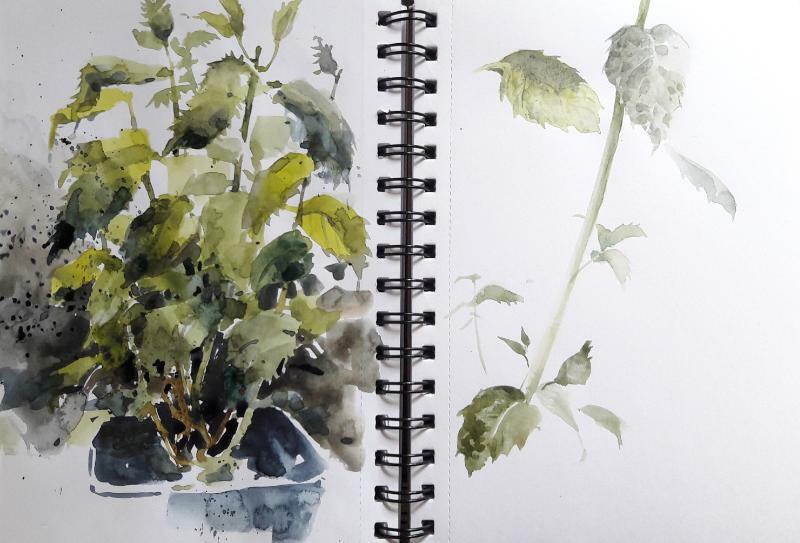 These days I spend more time drawing and sketching rather than exclusively painting, so colour mixing isn’t quite the all absorbing preoccupation for me that it once was. 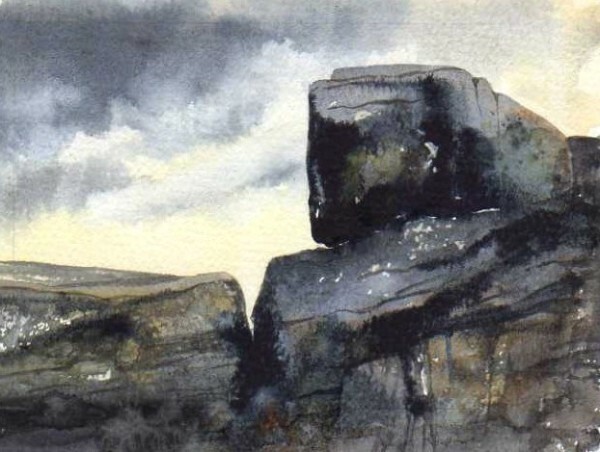 But if you want to use colour at all, you do need to spend time getting familiar with the paints you’re using, and that means playing around a bit and finding out what works for you. Every now and then I do a page or two of colour mixes in my current sketchbook. If this sounds boring, it’s not – in fact it’s a very relaxing thing to do and since I love doing it I really should do it more often. It somehow manages to be calming and exciting at the same time, and it gets a background understanding of pigments into my head so it makes decisions about mixing much easier and quicker so that everything flows more smoothly. I don’t think it matters much exactly how you do these colour mixing charts – the important thing is just to be methodical and work out a way that feels enjoyable. Where greens are concerned I like to start with a yellow that makes good mixes, and lately most of the time I use Transparent Yellow (Winsor & Newton). 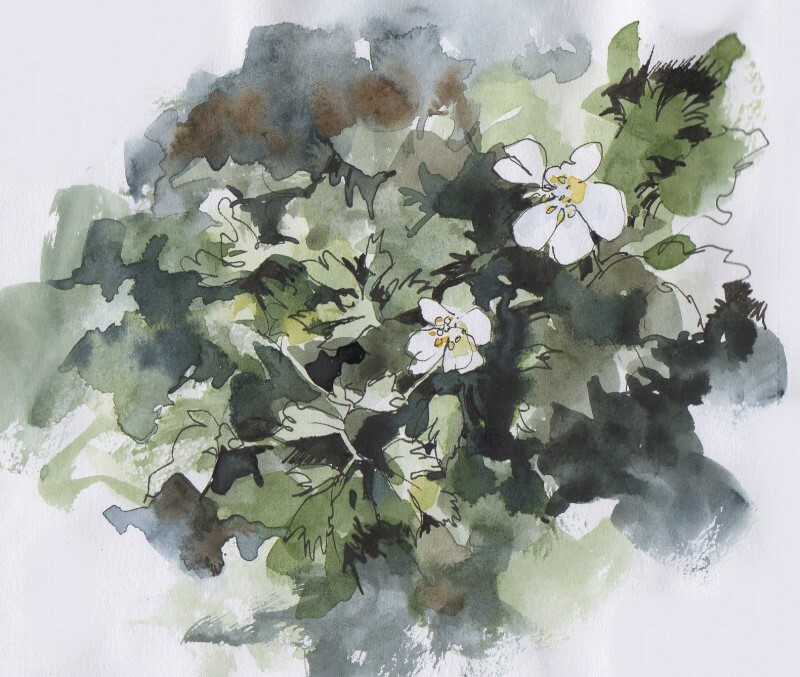 Starting with this and adding just one other pigment at a time in different quantities gives a huge range of mixing possibilities even with a very limited palette (and I never have more than 10 or 12 colours in my tin – mostly I use just 8). 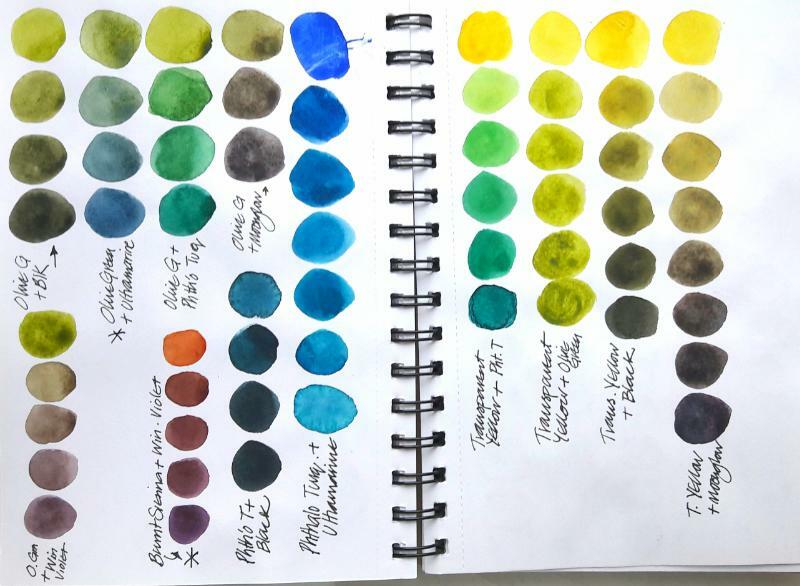 The pigments I most often add to yellow are Ultramarine Blue, Phthalo Turquoise, Winsor Green (blue shade), Paynes Grey, and Winsor Violet -Winsor Violet with yellow gives lovely complex neutral tones. Burnt Sienna and Ultramarine are my favourites for greys and neutrals. 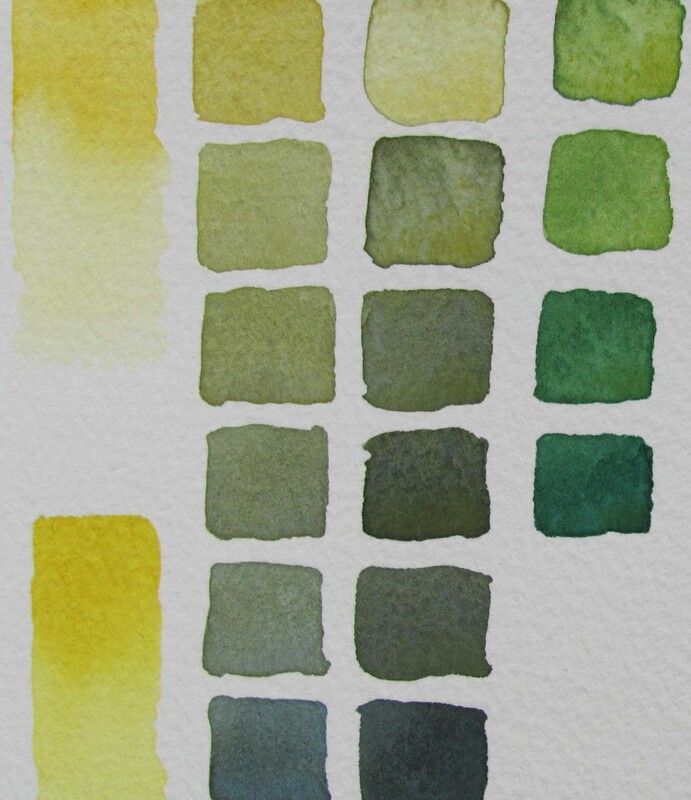 For really strong neutrals I go for Burnt Umber and Paynes Grey, and for really deep dark greens I sometimes use Burnt Umber and Winsor Blue or Winsor Green. Occasionally instead of Transparent Yellow I use Olive Green as a start and add variously to it – it’s not a green I especially like on it’s own. Obviously sometimes I mix more than just two pigments – but rarely more than three, and I try to use mostly transparent colours. Transparent Yellow, Burnt Sienna, Burnt Umber, Paynes Grey, Winsor Violet, Cobalt Blue, Ultramarine Blue, Windsor Green, Permanent Rose, Windsor Red.